0 Units Of Harley Davidson Street 750 Sold In Feb 2019, RE 650 Effect? 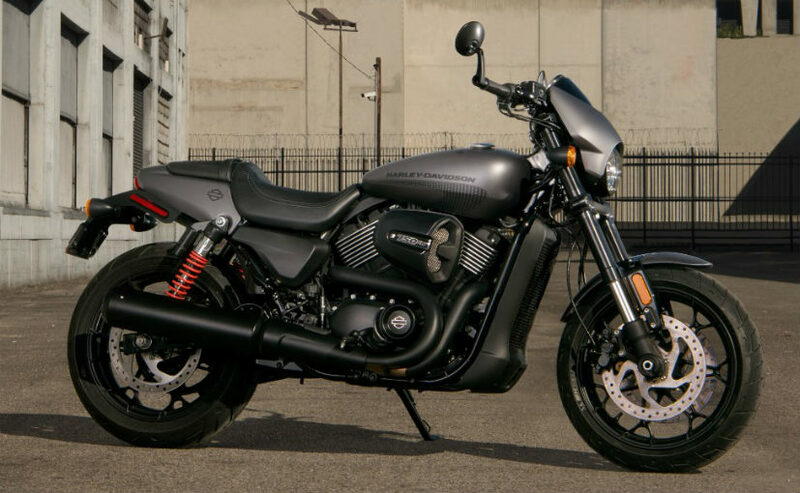 Harley Davidson’s Street 750 posted its worst sales number ever in the month of February 2019. The renowned American cruiser manufacturer was not able to sell 0 units of their entry level-offering Street 750 in the month of February 2019 and saw a 100 per cent drop in the YOY sales report. Not only that, the HD Street Rod also did not get a single buyer during the same month. The Royal Enfield 650 twins’ popularity could be one of the main reasons for their decline in sales number. The Royal Enfield 650 twins are the cheapest twin cylinder motorcycle available in the market today and they offer the same amount of power and torque at almost half the price. The price of the Harley Davidson Street 750 starts at around Rs 5.57 lakhs (ex-showroom) for the vivid black colour. The owners will have to spend an additional Rs 10,000 if they want to get their hands on any other single tone colour. On the other hand, the Royal Enfield Interceptor price starts at Rs 2.50 lakhs (ex-showroom) for the base variant and Rs 2.58 Lakhs for the dual tone and Rs 2.70 lakhs for the chrome shade. The most expensive model which is the Continental GT 650 Chrome will cost you only Rs. 2.85 lakhs (ex-showroom). Just like the Street 750, the higher price is also the reason why the Street Rod too saw a massive drop in its sales number. The Harley Davidson Street Rod is also priced at around Rs. 6.55 Lakhs (ex-showroom) while the buyers will have to spend Rs 6.81 Lakhs (ex-showroom) for the dual tone shade. 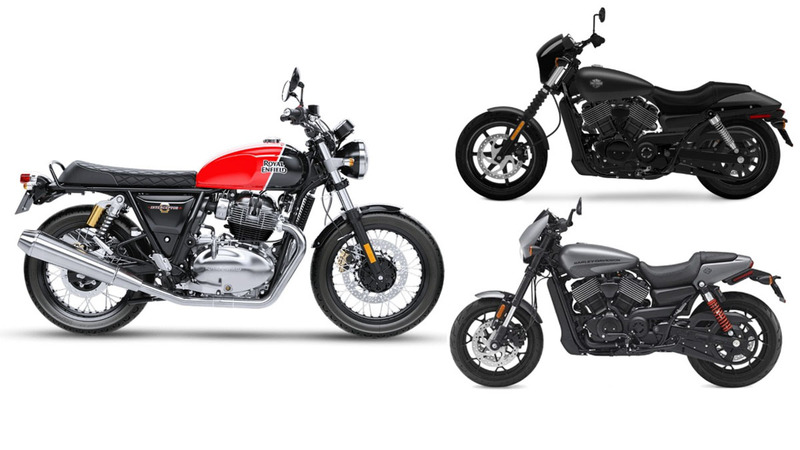 If we compare their powertrains, both the Street 750 and the Street Rod 750 are powered by the same 749cc, High Output Revolution X V-Twin engine that produces around 47 bhp of peak power and 62 Nm of peak torque output at 4,000 rpm. The engine is paired with a 6-speed gearbox. The 650 twins, on the other hand, is powered by a 648cc, twin cylinder motor that produces around 47 bhp of peak power and 52 Nm of peak torque. The engine is paired with a 6-speed gearbox as well with slip assist clutch as standard.